Nokia Lumia 720 Indonesia finally get Nokia Lumia Amber update start from today. 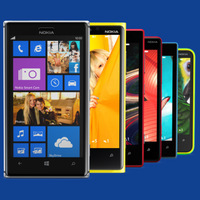 The Update will be downloadable via Over The Air Update (OTA Update) with Wi-Fi connectivity directly from your Nokia Lumia 720. Nokia Lumia 720 will have almost all Lumia Amber update feature except Tap to Unlock" feature. From today, All Nokia Lumia with Windows Phone 8 - Country Variant: Indonesia are capable to have Nokia Lumia Amber Update.